Physician who was elected President of Chile in 1970 only to be deposed three years later by General Augusto Pinoche. 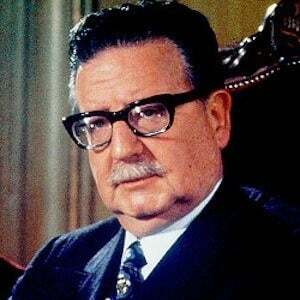 tHe was the first Marxist elected president of a Latin American country and as President he adopted a policy of nationalization of industries and collectivization. He graduated from the University of Chile in 1933 with a degree in medicine. 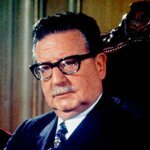 He committed suicide shortly after giving a farewell speech to Chileans over the radio because he refused to be used as a tool of propaganda by the Chilean military that was orchestrating the coup that overthrew him. He married Hortensia Bussi and had three children. He killed himself after General Augusto Pinochet launched a military coup to remove him from government.